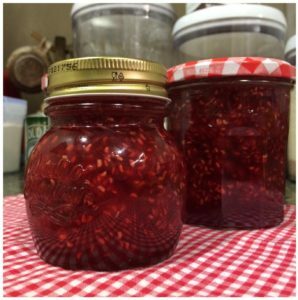 Today I want to share with you a super easy and quick raspberry jam recipe that I’ve tried last week and it turned out great. You’ll need 3 cups of organic raspberries and 2 cups of organic sugar. First, rinse the raspberries. Put the berries and the sugar in a medium saucepan. 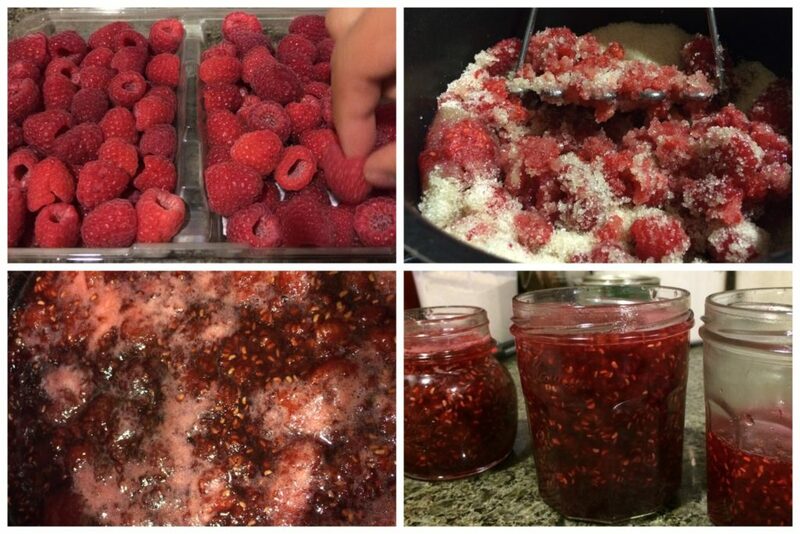 Mash a little bit the fruit using a potato masher but not too much if you like to find pieces of fruit in your jam. Bring the mixture to a boil and remove constantly using a wooden spoon. A good advice, buy 2 wooden spoons, one for sweet dishes and the other one for savory and sauces, so you don’t contaminate the flavor of your dessert with onion or garlic flavor. Continue to boil until mixture thickens, about 10 to 12 minutes on medium to minimum and remove from the heat. 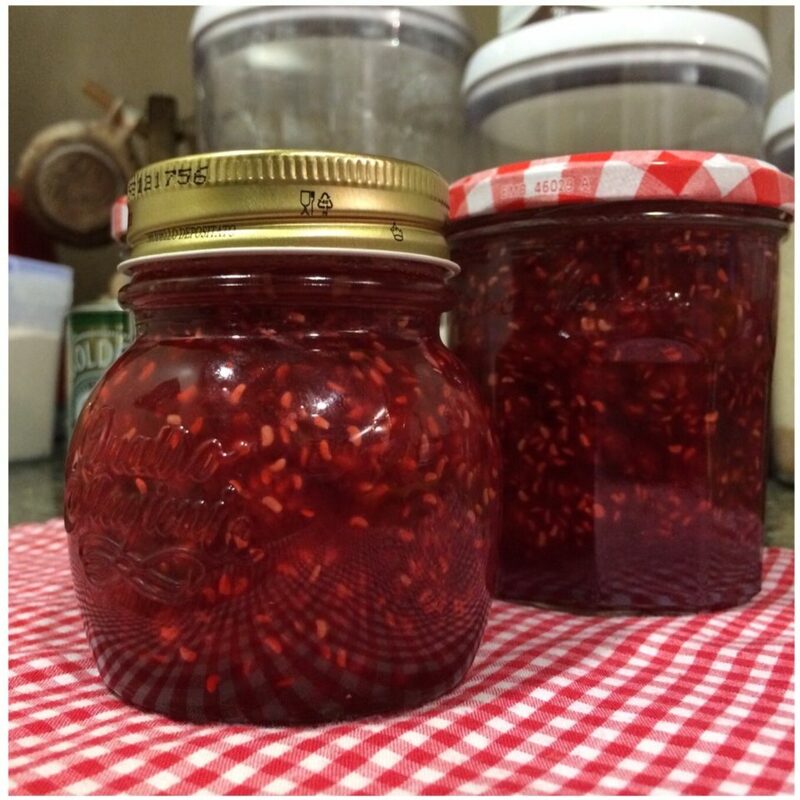 Fill empty and sterilized jars while the jam and the jars are still hot. Then let it cools. **How to sterilize empty jars? Wash and rinse your empty jars. Fill with water a large saucepan with your jars and lids inside of it until they are completely covered. Bring the water to a boil. Let it boil for 10 minutes. Remove the jar and let it dry on a rack for a few seconds. Fill the jar with the jam while is it still hot // If you’re using the Quattro Stagioni jars, you can follow their instructions to pasteurize your product and make it last for months! When the jam is cool, you can put it on your refrigerator and use it for your next breakfast. Quick and easy right? And also healthier than most of the jams that you can buy at the grocery store!